Our extensive experience in the design, manufacture and marketing of coffee dispensing machines allows us to offer solutions specifically directed at the OCS and hospitality sectors, and community groups. 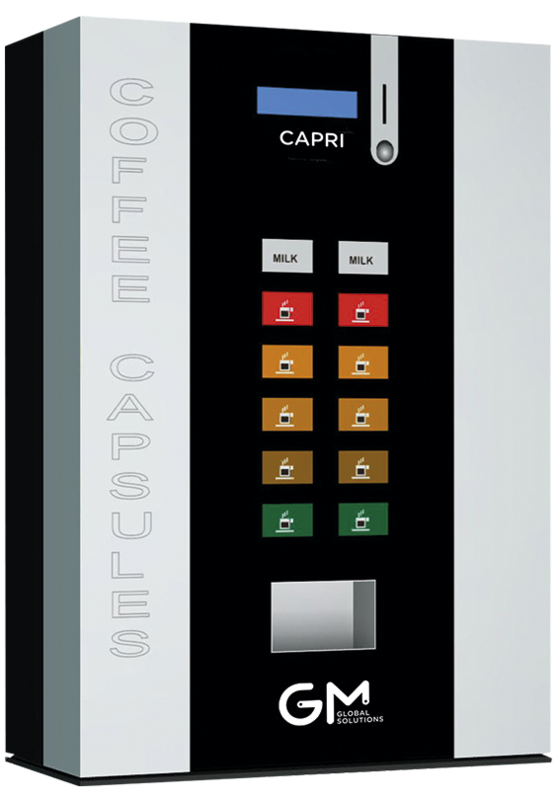 Discover our CAPRI coffee capsule dispenser range, featuring a system that is compatible with the principal coffee capsule formats on the business and domestic markets. Thanks to their advanced electronics, elegant design and flexibility for incorporating devices for different types of payment (coins, contactless, and credit card), these models can be tailored to suit all types of customers. 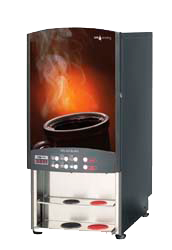 Discover our range of electronic machines for dispensing large volumes of coffee in a very short space of time. A professional solution for hotels, community groups, hospitals and catering companies. The Milan range is completed with two self-service machines intended for hotel buffets. They include milk and / or chocolate canisters to offer customers greater variety in the service. 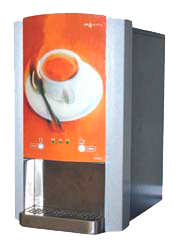 A range of programmable electronic machines for dispensing coffee concentrate, for places in which coffee consumption is low. The ideal solution for offices and small hotels.